The Governor's Office is reporting record tourism numbers in 2017. It was a record year in terms of tourism for North Carolina in 2017. A press release from the Governor’s office reports visitor spending last year was $23.9 billion, up 4.2 percent from 2016. The state’s tourism industry also produced record jobs numbers, generating 225,000 jobs in 2017, up 2.6 percent from 2016 with payroll income for those tourism jobs topping $5.9 billion, up 7.1 percent. State Commerce Secretary Anthony Copeland says each state household saves $512 annually in state and local taxes as a result of tax revenue generated by visitor spending. 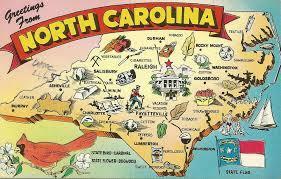 The report was released during Travel and Tourism Week in North Carolina as proclaimed by Gov. Roy Cooper.